Former Minnesota Vikings defensive coordinator Alan Williams joins the Lions defensive staff as new secondary coach. Even though Teryl Austin is a first-time defensive coordinator, he will have experienced back-up to help him with any decisions he may need help with or advice he will need. One of those experienced staff members is new linebackers coach Bill Sheridan. Sheridan has past experience as a defensive coordinator. Back in 2001, Williams and head coach Jim Caldwell were partners under Tony Dungy in Tampa Bay. They both traveled with Dungy to the Colts where they worked together for the next 10 years. Williams was the secondary coach in 2002 until 2011. 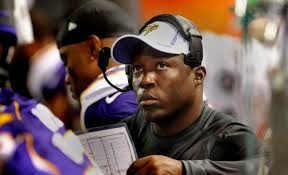 Last year in Minnesota, Williams joined Leslie Frazier’s staff as defensive coordinator. Williams was released from Minnesota when Frazier was let go after the season. At the Senior Bowl, Austin said that he will benefit from an experienced staff. Veteran defensive line coaches Kris Kocurek and Jim Washburn were also hired by the Lions.